My son decided that he wanted to build a gaming PC for his 11th birthday earlier this month. It’s been years since I have done a PC build, but I was pretty sure I could remember/figure out how to attach pieces together into a functional PC. We started the process with a shared (OneDrive) Word Doc. I wanted my son to do as much of the research as possible. He had a pretty good handle on all of the necessary components from endless gaming Youtubers explanations of their rigs. When he had to make a choice (AMD vs. Intel), he searched for opinions online with references to the software he likes to use. His target workloads included Minecraft, Unity Game Development, & Blender modeling. My son did a first-pass at a materials list, including a 8th-gen Intel Core i5-8400 CPU, ASUS Radeon RX 560 video card, 16 GB of RAM, 1TB Hard Drive, Case, Motherboard, Power Supply and all the trimmings. I had him run through the wattages for all of his planned components to make sure that we were well in spec for the power supply. The next step involved me putting the list through a “Dad lives by a budget” reality check. The Intel Core i5-8400 was trimmed back to an Intel Core i3-8300. The ASUS video card and Motherboard were swapped for slightly cheaper Gigabyte equivalents. The RAM was scaled back to just 8GB. I added a Bluetooth and Wifi adapter to the list for flexibility in setup/accessories, and also a copy of Window 10 Pro, so that he’d be able to use Remote Desktop to access the new machine from his much less powerful laptop. Assembly was a breeze. The case had ample room for working. I provided a few pointers for making sure that the pre-installed stand-offs were positioned properly for the motherboard, and the ordering of install to make things easier. The new BGA socket for the processor was so much easier than the omg-did-i-bend-a-pin sockets of yesteryear. We had a slight struggle with the Hard Drive because our initial attempt had the mounting frame even with the drive, which meant that the drive was not set in far enough that the case could close without pressing on the hard drive power cable. Correcting this was made harder by the fact that the hard drive was positioned to block the flexible part of the frame from bending to allow it to be removed from the case frame. This was remedied by some careful brute force. Most every component and connector just went where they fit. My son handled all of the odds and ends with the motherboard’s included connector map. This case and motherboard actually matched pretty well for all the connectors. HD Audio header, all the remote USB ports, and each and every light and switch had a proper home. We even connected a tiny little speaker that was included in the motherboard package, “just in case” it was needed for POST beeps. Once everything appeared to be in place, we connected the new box to a TV that we use as a monitor, and a keyboard and mouse that were birthday gifts from relatives, and hit the power. The box hummed to life, orange LED lighting and fans spinning, and then a few second later everything cut off. Then on. Then off again. I hit the physical switch on the power supply so that we could get our bearings. Next test we didn’t change anything, but took careful notice of all the fans. All spinning, so at least we weren’t cooking the CPU. Yet. Next test, we unplugged pretty much everything non-essential on the motherboard, removed the video card and swapped the monitor over to the build-in HDMI connection and tried again. Same results. Next test, one RAM module out: same. other RAM module out: same. At this point I’m thinking that we’ve got a bad power supply, a bad motherboard, or a bad CPU. We disconnected the power supply, jumpered the green wire to ground, and applied power. It was nice to hear the power supply come to life and not power down after a few seconds. I didn’t check voltages, but I was pretty sure that we had a working power supply now. So basically at this point, I’m pretty certain that the motherboard is telling the power supply to cut off for some reason. As I’m hooking the 24-pin power back to the Motherboard and trying to think of what to try next, I notice a lonely unpopulated 8-pin connector above the LGA1151 socket that looks to be another power connector. On closer inspection, it’s labeled “ATX_12V_2X4” and it most certainly is another power connector. When we were first hooking up the power supply, we’d checked all over the video card to see if it had and extra power socket (it doesn’t), but somehow missed this on on the motherboard. My son hooked up the extra power connector with one of the many available lines from the power supply and tried again… Success! We now had a booting computer! After seeing the BIOS menu come up, we powered down and my son set to work re-installing everything that had been removed in the name of troubleshooting. After everything was hooked back up, the computer booted successfully again, and my son started the process of booting from a prepared USB to install Windows 10. All in all, the build was a major success. My kids typically use cheap, modestly powered laptops for schoolwork and games, and this beast way outperforms all of them for the things my son cares about most (i.e. bragging about frames-per-second on Minecraft). It’s summertime, which means the kids are on and off camp throughout the summer. We’ve done a few projects in the past with Raspberry Pi and Arduino, and this project for a Card Skimmer Detector came across my feed from Make. Not content with just following instructions, I ordered a slightly different display than the one used by Tyler Winegarner for the article. I’m hopeful that it’s similar enough, and a quick review of the driver referenced in Tyler’s code seems positive. Two of my kids will attempt to get this going on Pi Zero W’s with preinstalled headers from Adafruit, and I’ll dig in with some soldering required. I also ordered some small piezo speakers and a USB GPS receiver that I might try to integrate. I pre-printed a handful of basic Pi Zero cases from mynameishamish via Thingiverse but will probably design something more custom after we see how the project comes together. The book was a deep read on how Tim has observed transformative change occurring in recent decades. There are ample examples, including very current trends in politics, technology, and economics, where the reader is walked through the development of a new mental map to understand why the change made sense. It’s often the case that looking back on disruptive changes, they seem obvious and inevitable, but it takes a spark of ingenuity or genius to build that new map without the benefit of hindsight. The challenge that the book hopes to instruct, is to identify opportunities for reframing our own views in ways that lead to constructive, but disruptive change. Tim has been well positioned to observe and report, and includes anecdotes and quotes from key players in past significant disruptions. There are also many references to traditional business authors, like Drucker and Collins that will be familiar to many MBA students, including critical takes on some widely held beliefs about what makes business tick, especially in the United States. Beyond understanding the processes of disruptive change, the book spends quite a bit of print developing ideas about what types of changes are good for people, good for humanity, and good for the future. In what seemed like an echo of this theme in the book, this morning I sat through an amazing keynote by Microsoft’s Satya Nadella which included a professorial call to action for developers to build the future that humanity needs by embedding privacy, security, and ethical choices in the systems and AI that we build for the future. This book is a great read if you want to gain some knowledge about historical twists and turns in the technology industry, to slightly reprogram your brain for how to look out for disruptive change, and prepare yourself to help make a positive impact on the future. 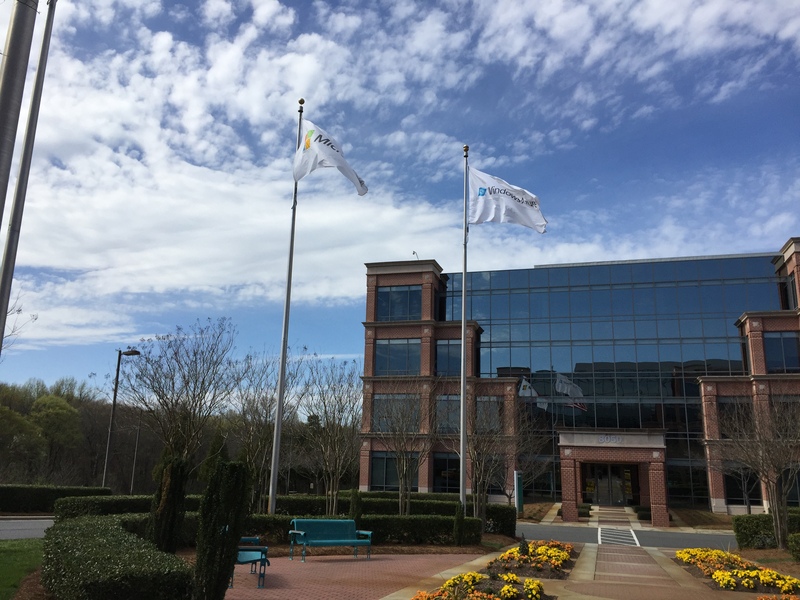 After 99.5 months (sounds more interesting than “8+ years”) at Microsoft, I’m heading off on a new adventure with Cloudera. Over the years with Microsoft I have worked with some amazing folks in support, consulting, and sales. Thanks to all the folks from Microsoft who have mentored me, worked along side me, and who wished me well as I made the difficult decision to depart. I know that I started some lifelong friendships along the way. And thanks to all the Clouderans who have helped me find this new opportunity, believed that I was up to the challenge, and welcomed me to the team. 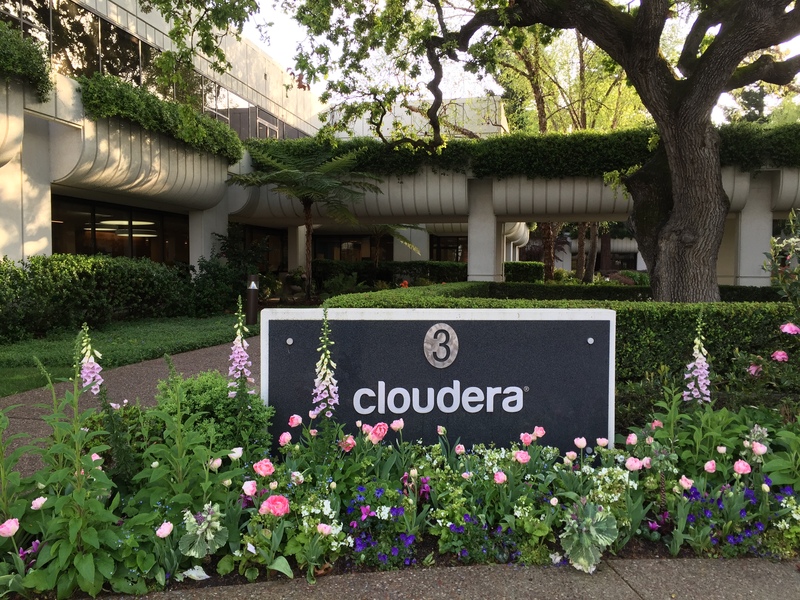 I’m excited about focusing intently on the Hadoop ecosystem, and I feel like I’ve found a great fit with the energy and culture I’ve seen so far at Cloudera. It’s going to be a fun adventure! I just finished reading Rework by Jason Fried and David Hansson and found it to be a very interesting treatise on what “right” can look like for a small business. The authors do a great job of deconstructing the assumptions around “corporate” behavior, and the alternative work environment they describe seems almost Utopian. Whenever I read books about behavior and organizations, one of the mental filters I try to put the ideas through goes something like: “Would this work for a non-profit volunteer group?”, “Would this work for my local McDonalds?”, “Would this work for a government agency?”. I don’t do this in order to find flaws in a model, but rather to understand it better, to identify assumptions, and to see what truths in the model might be universal or transferrable. The main blocking point to pulling some of the ideas in the book into any organization would be that there needs to be a baseline of mutual trust and respect that might be lacking in some arenas. With that said, I think many of the lessons on decision making, planning, and communication can be helpful wherever they are applied. To a certain extent, the advice in the book is prescriptive and not necessarily transformative. This is by design, and I see a lot of great ideas for avoiding pitfalls that many entrepreneurs, managers, and employees fall into. It’s hard to find any direct critique because the tone is very conversational and easy to read, and instead of telling the reader what they should do without any real backing, they simply describe what has worked for 37Signals. It’s folly to argue with a set of behaviors that have shown to be successful over the years. If I ever find myself starting a small business, or working at one, this will be a definite periodic re-read. As it stands now, I’m trying to absorb how these ideas fit into my personal sphere of influence. Over the past several months, I very slowly worked my way through Michael Hartl’s Ruby On Rails Tutorial and just wrapped things up last weekend. As someone who has worked in many different programming languages over the years, I found this to be a great survey on how Rails can be used to build functional web apps. The majority of the book is spent methodically building out a basic Twitter clone. I like the way that concepts like MVC and TDD were introduced, but I question whether I might have been a bit lost if I wasn’t already familiar with them. The writing style was very easy to follow, and I liked the predictable flow of Write Tests, Code, Test, Repeat. I do wish that whomever curates the Kindle version would eliminate all of the “Click here to view code image” links, but that was only a minor distraction. The author rightly states in the intro that a basic understanding of HTML and CSS is needed. If you’re starting without that baseline, a lot of the sample app is going to seem like magic, and relying on magic is a bad way to code. As it stands I feel like a lot of the Ruby code in the book was a bit on the mystical side, so I’m probably going to find a good Ruby book for my next technical read. If you want to take a look at where my sample ended up, you can see the code at: https:/github.com/hallihan/rails_tutorial and I’ve got the sample running on Heroku at http://yamf.net. Overall I’d say that if you’re familiar with other web frameworks like ASP/ASP.Net, PHP, JSP, etc. this is a great book to introduce the Rails framework. I’d probably recommend diving into a Ruby book first if you have the interest. If you design a product that might wake me up in the middle of the night, you should meet the following bar: I, or someone I love, must be in danger. Not a hypothetical “If the power goes out and if something in the house is still managing to produce CO without power” type of danger, but something more actual and imminent. Smoke and CO detectors seem to have been designed with a severe disregard for how the customer will react to the various interaction points other than a true emergency. I can remember several times in my adult life when a chirping detector has induced me to get out a ladder in the middle of the night and climb up to check on various possible sources of the chirp, all in a semi-alert state. Last night, the culprit was a CO detector that happened to be plugged in to the wall in our master bedroom, perhaps about 3 meters from where I sleep. The acoustics of the alert sound on this device seem to have been designed to make it echo and reverberate around the house, which is great for an a alarm, but again is horrible for a low battery warning. In my efforts to find the noise that only repeated every minute or two I got out two different ladders, stood on the ladder near the upstairs smoke alarm, then the downstairs one, then climbed into the attic to check that one, then stood in the room listening for the chirp again, then up to the attic to see if maybe there was another alarm up there that I didn’t know about. Thankfully my wife happened to look down at the right moment and correlate a chirp with this CO detector plugged in to the wall. I know that I should have probably replaced the battery at some point, but honestly I had totally forgotten about this particular detector. It’s one of 3 CO detectors in our house, and I’m pretty sure that it’s been 3 or 4 years since the battery was changed because it runs off house power and the battery is just for power failures. The end result of this particular warning was that the device was unplugged and batteries removed so that we could get back to sleep. This morning as I tried to get back to sleep I was wondering how many middle-of-the-night ladder injuries are attributable to low-battery chirps. I’m guessing that the low battery behavior is probably design-by-regulation and that manufacturers like First Alert don’t have a lot of latitude to make this better, but I see that Nest Protect is trying to solve the UX gap, although at quite a premium on price.